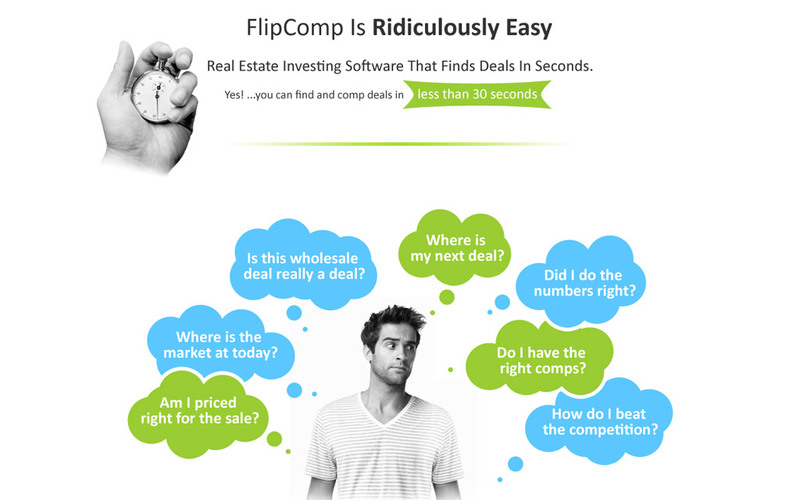 FlipComp is an innovative online tool made to help investors find real estate deals in seconds. 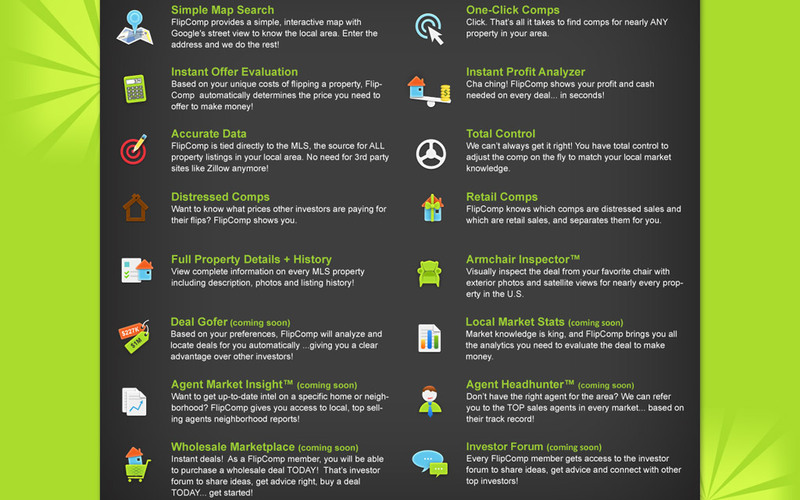 It’s developed by an USA investor for the USA market specifically. We were commissioned to handle all the branding. Starting with the logo, going through the various screen design and finishing with all the tiny elements needed for perfect online presence. 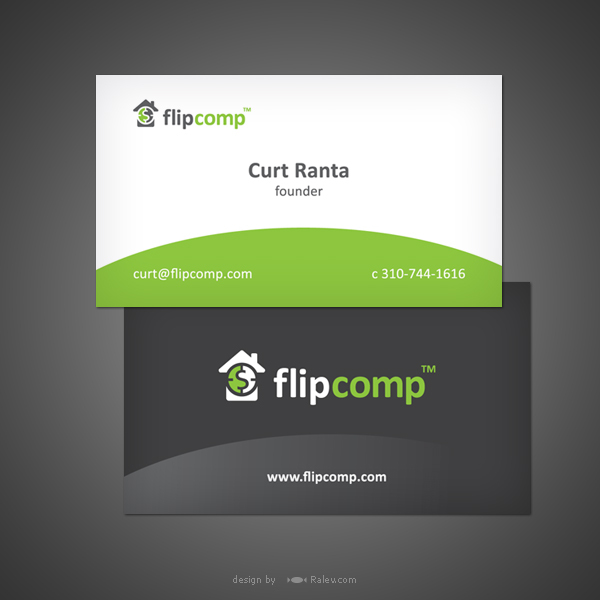 Clean & simple business card design that suits the client needs. 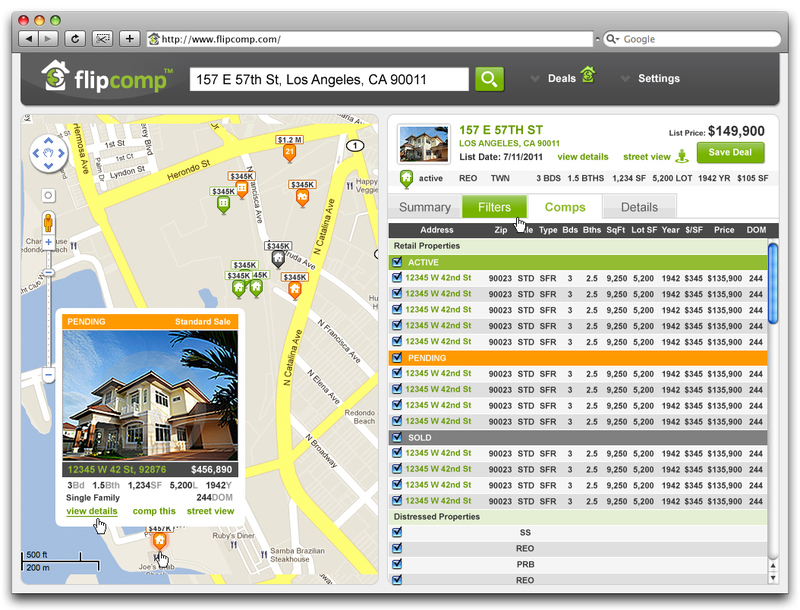 We designed a set of graphics, using different approaches, that present FlipComp main features and its benefits. 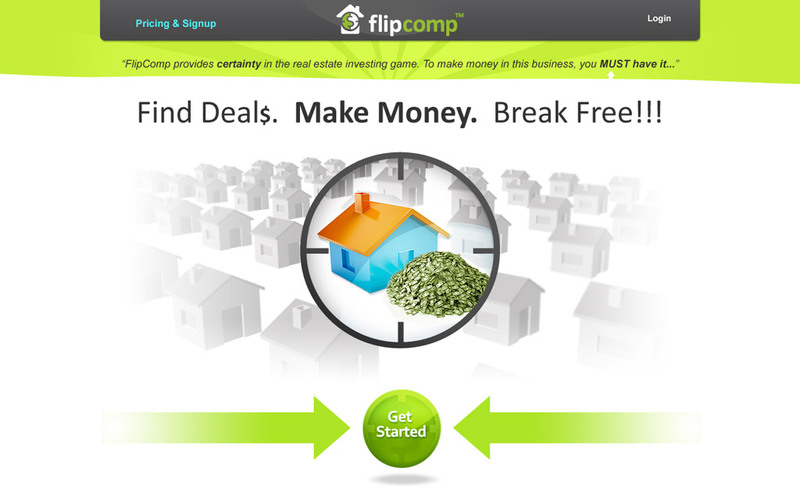 A family of fresh color graphics that explain how FlipComp works. 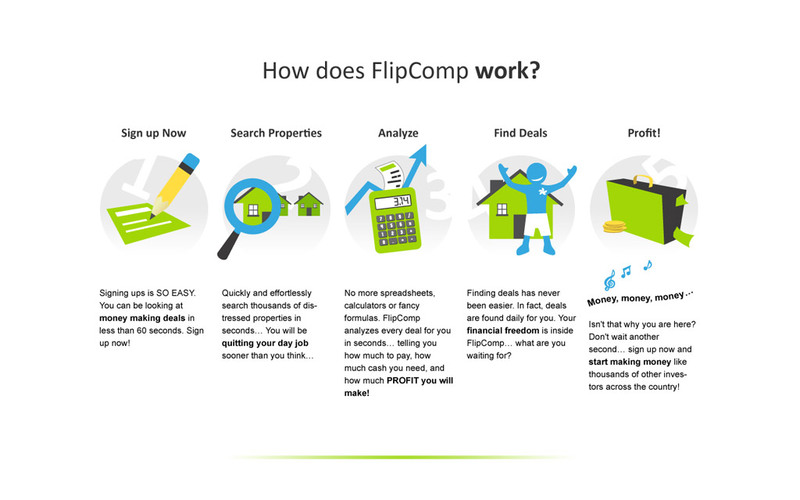 A set of icons illustrating the main features of FlipComp.